Businesses offer support as they get behind the team to plan this year’s popular annual Burton Small Business conference. 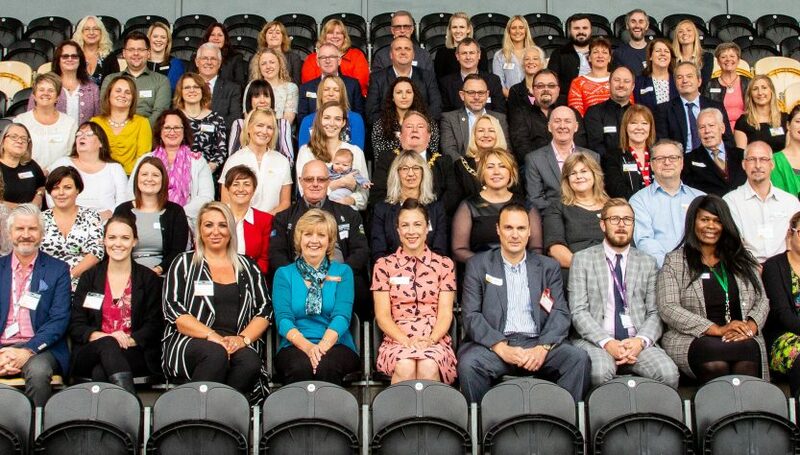 The yearly event, which attracts more than 60 businesses for a day of networking, informative talks and advice, is designed to offer support and guidance to small businesses to help the local thriving SME community grow. This year the 2019 conference is being supported by a number of additional businesses keen to offer their help in organising the event. Sarah Liddle of The Lady in the Shed, Owen Conti, of Code 56, Danielle Waller of Delami Event Management, Karen Woolley of the Federation of Small Businesses and Mike Byrne of Enterprise Links will be supporting the Burton Small Business team in delivering a packed line up of speakers, support stands and networking. Cheryl Morris of Creative Word PR, who is one of the three businesses which make up Burton Small Business, said that announcements would be coming soon on what people can expect for this year’s event. She said: “Each year the Burton Small Business Conference has been well received in the business community and we are busy preparing plans for the 2019 event. “It is great to have so many extra businesses support the event this year and their help will be invaluable in delivering the informative and lively conference businesses have come to expect in the town. The event follows last year’s largest event yet at the Burton Albion Pirelli Stadium. Over 60 businesses attended and for the first time there was a series of support stands in the room giving attendants even more access to business support for everything from funding to exporting, networking and business growth. Look out for announcements coming soon on the 2019 conference.